Oh goodness friends, the Everyday Beauty pool is BURSTING with amazing right now. It was hard to pick these from the mix, but I decided on a tree/leaf theme because the hills in my city (Reno, NV) have veins of yellow mixed into the usual browns. All the aspen trees are glowing right now. The older neighborhoods in town are filled with golden, orange, reds, and fading greens. Mother Nature is such a magician, isn’t she? Yes, mother nature is. I´ve never seen that like this autumn. What wonderful photos. All. Thanks for the inspiration. so true, I’m always impressed by nature’s magic. Thank you, Vanessa, for including my image among the other inspirational beauties. Thanks so much for including my photo on the blog! 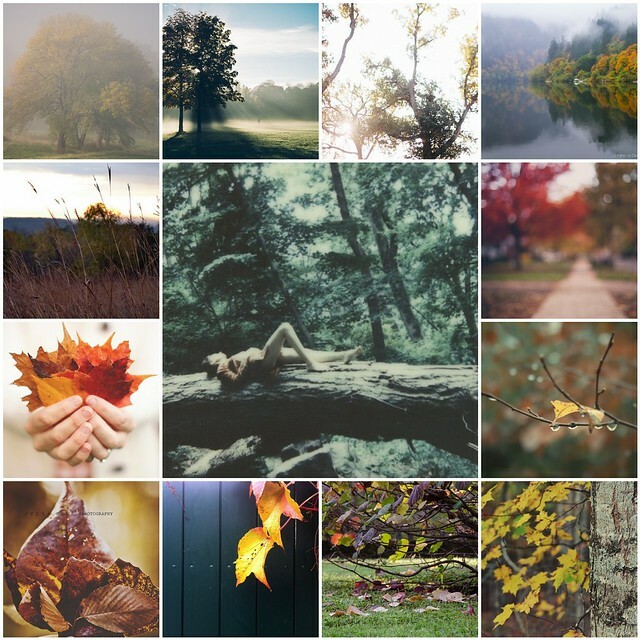 What a great collection of fall images!